Toyota Motor Corp. aims to boost demand for the Prius, the top-selling alternative-power car for a decade, by extending the brand to counter new rechargeable challengers to its status as an environmental icon. Toyota President Akio Toyoda is to unveil the Prius V, a wagon-type model larger than the current gasoline-electric car, today in Detroit at the North American International Auto Show. Along with the wagon and a previously announced electric plug-in Prius due by 2012, Toyota is to show a concept version of a possible fourth model for the Prius line in Detroit. Since its introduction in Japan in 1997, Toyota has sold more than 2 million Prius units worldwide, including 955,438 in the U.S. from 2000 through last year. Nissan Motor Co.’s all- electric Leaf hatchback and General Motors Co.’s plug-in Volt sedan, both released in December, are designed to appeal to U.S. drivers seeking vehicles with technology that’s a step beyond Toyota’s gasoline-electric system. “Expanding the Prius family doesn’t really have much of a wow factor,” said Takashi Aoki, a Tokyo-based fund manager at Mizuho Asset Management Co., which sold 94,800 Toyota shares in July. The current Prius, with a base price of $22,800, delivers a combined 50 miles per gallon of gasoline in combined city and highway driving, according to U.S. government tests. 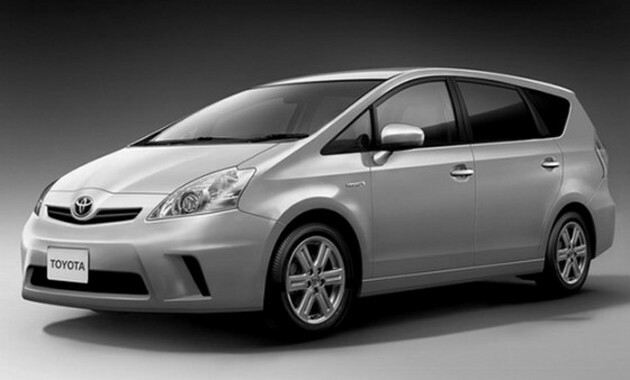 The Prius wagon’s range and other features are to be detailed later today. Nissan’s $32,780 Leaf gets between 62 miles and 138 miles of range solely on its lithium-ion batteries, depending on driving conditions. The $40,280 Volt travels about 35 miles solely on lithium-ion batteries before a gasoline engine engages to provide vehicle power. The expanded Prius line is “a family in nameplate only,” Bob Carter, Toyota’s U.S. group vice president, said in a Jan. 4 conference call. While the additional Prius models will share a name and some styling similarities, “it’s not a separate brand or separate franchise as we have with Scion,” he said. 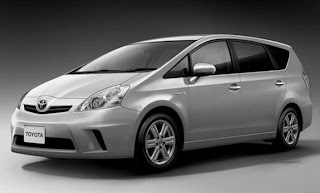 Carter predicted models bearing the Prius name would be Toyota’s top-selling U.S. line by the end of the decade. “Leveraging the Prius name with more models, conceptually, it’s absolutely the right idea and has been for years,” said Eric Noble, president of The Car Lab, an industry consultant in Orange, California. “What concerns me with the new wagon is that it’s not different enough from the current Prius, so there’s a risk of cannibalization of sales,” Noble said.